The Academic Resource Center (ARC) provides HiSET testing for the State of Missouri. Prior to taking the test, prospective examinees must create an account and register for the test. Website address: ets.org/hiset. The cost of the test is $98.75. Examinees are encouraged to purchase the entire battery. The test is given Monday-Thursday. Location: Henry Givens Administration Building, Room 222. 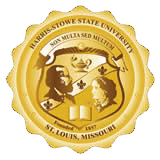 Examinees who park on the designated Harris-Stowe parking lots should obtain a temporary parking permit from the HiSET Examiner. Examinees are encouraged to arrive at least 20 minutes prior to the scheduled testing time in order to complete the parking process.